World Trade Organization members this week could not decide on a request from least-developed countries to extend a waiver allowing them to forego the enforcement of intellectual property rights on pharmaceutical products until their economies are stronger. Discussions are expected to be conducted informally until the next meeting of the organisation’s council on IP rights in October. Also unresolved is whether or not intellectual property rights can be subjected to complaints at the WTO dispute settlement body when no WTO agreements have been breached in what is called non-violation complaints. All but two members agree that those complaints should not be allowed under the WTO Agreement on Trade-Related Aspects of Intellectual Property Rights (TRIPS). The TRIPS Council met from 9-10 June. The next TRIPS Council is scheduled to take place from 15-16 October and expected to reach a decision on both subjects. The exception on pharmaceutical products ends on 1 January 2016, although pharmaceutical products are also covered by a general exception running until 2021. The tenth WTO Ministerial meeting taking place from 15-18 December in Nairobi is also waiting for a recommendation from the TRIPS Council on the non-violation complaints. 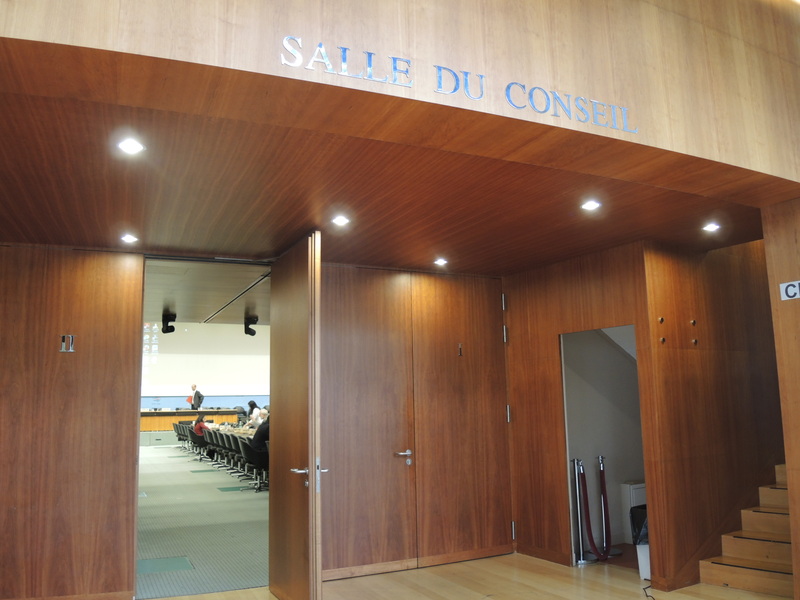 The request by least-developed countries (LDCs) that the TRIPS Council extend a waiver allowing LDCs to abstain from enforcing IP rights on pharmaceutical products was formally discussed at this session of the Council (IPW, WTO/TRIPS, 8 June 2015). The countries are asking that the waiver apply until a country graduates from LDC status. It has been asserted that the TRIPS Agreement states the waiver renewal shall be automatic upon request. Uganda, on behalf of the LDC group, said in their statement that the “current pharmaceutical transition period… is comprised of two WTO decisions.” The first dates back to 2002, addressing pharmaceutical product patent and data protection. The second is a General Council decision addressing market exclusivity rights under TRIPS Article 70.9 [pdf] (Protection of Existing Subject Matter). “This 2002-2016 transition period was specifically without prejudice to the right of LDCs to seek and obtain further extensions,” they said. According to the statement, 48 countries globally are currently considered as LDCs, 34 of which are WTO members. Citing a 2014 WTO market access study, the Ugandan delegate said LDCs share of world merchandise trade in 2014 was 1.24 percent, with a deficit of US$60.6 billion. The Ugandan delegate said that the 2002 specific pharmaceutical transition period was granted to supplement the general transition period that had been granted to LDCs until 2005. “It was adopted in recognition of the gravity and magnitude of public health challenges afflicting LDCs,” and was much longer than the general transition period at the time. On exclusive marketing rights, the Ugandan delegate said they confer patent-like rights and is another form of monopoly. “If LDCs are bound to grant [exclusive marketing rights], the value of a pharmaceutical transition period would be very limited, since access to medicines and other pharmaceutical products could be effectively blocked for at least five years,” he said. According an LDC source, some 30 countries took the floor on this agenda item, most in support of the extension request. Turkey and Taiwan were supportive of the request but not of an indefinite extension. The United States and the European Union said they would come back to the issue at the next session, said the source. Japan suggested deferring discussion on the extension closer to the date of expiration of the general exemption in 2021, added the source. According to a WTO official, developing countries supporting the request included the Africa Group, South Africa, Cambodia, Tanzania, Mali, Cuba, Brazil, Togo, China, and Uruguay. Norway also supported the LDCs request. Developed country members said that they were in the process of examining the LDC request and were looking forward to discussions with LDC partners in which certain issues could be clarified, according to the WTO official. “A specific decision on pharmaceutical product transition period is absolutely critical to provide suppliers, procurers and donors of affordable medicines in LDCs the clarity and certainty to manufacture, export and import generic medicines,” India said. The World Health Organization spoke in support of the LDCs request yesterday. “Being exempted from granting patents allows least developed countries to either locally produce or to import generic products even when those are still under patent in other countries,” the WHO representative said in his statement. “This can help countries in expanding health coverage by allowing the health sector to rely on more affordable generic suppliers. Being able to do competitive procurement, including from local or foreign manufacturers is in particular important in the area of HIV as well as for the new treatments for highly prevalent conditions like hepatitis,” he said. The LDCs’ request has been supported by several organisations, such as UNAIDS and the United Nations Development Programme (IPW, Public Health, 22 May 2015). It has support from over 140 civil society organisations (IPW, Public Health, 29 May 2015), and the IDA Foundation, a worldwide supplier of essential medicines to low-and medium income countries (IPW, Public Health, 30 March 2015). According to the WTO, non-violation complaints arise when a government can go to the WTO Dispute Settlement Body even when a WTO agreement has not been violated. “It is allowed if one government can show that it has been deprived of an expected benefit because of another government’s action, or because of any other situation that exists,” the WTO website specifies. “At least two countries (the US and Switzerland) say non-violation cases should be allowed in order to discourage members from engaging in ‘creative legislative activity’ that would allow them to get around their TRIPS commitments,” the web page says. This week, Brazil on behalf of Argentina, Bolivia, Brazil, China, Colombia, Cuba, Ecuador, Egypt, India, Indonesia, Kenya, Malaysia, Pakistan, Peru, Russia, Sri Lanka, and Venezuela submitted a revised version [pdf] of a 2002 document that stated reasons for preventing non-violation complaints under TRIPS. The list is now 17 countries. In its statement Brazil said in 2002 the 14 countries submitting the original document were concerned that the application of such complaints under TRIPS “would raise systemic concerns that could adversely affect not only the IP system, but also the World Trade System and its dispute settlement mechanism.” The 14 countries were Argentina, Bolivia, Brazil, Colombia, Cuba, Ecuador, Egypt, India, Kenya, Malaysia, Pakistan, Peru, Sri Lanka and Venezuela. Among the concerns, the document says that the TRIPS is a sui-generis agreement which is not designed to protect market access but to establish minimum standards of intellectual property protection. The introduction of non-violation complaints, the document says, could introduce incoherence among WTO agreements “by allowing something which a WTO Member has agreed to access in one part of the single undertaking (e.g. the GATT or the GATS) to be challenged on the basis that it could nullify or impair benefits in another area (e.g. TRIPS).” GATT is the General Agreement on Trade and Tariffs, and GATS is the General Agreement on Trade in Services. The document also says that non-violation complaints could infringe sovereign rights “by exposing to challenge any measure that affects intellectual property and that could not have been foreseen at the time of the Uruguay Round.” It would also limit the use of the TRIPS flexibilities, according to the co-signatories. According to sources, many countries supported the document. The United States and Switzerland kept their previous approach, they said. Non-violation complaints are mentioned in GATT Article XXIII.1 (Nullification or Impairment). TRIPS Article 64 is part of the TRIPS and of the Uruguay Round deal “that all WTO Members subscribed to at the time,” the Swiss delegate said. “The TRIPS Council cannot renegotiate this consensus today questioning whether such complaints are necessary or not,” he said. A United States source also told Intellectual Property Watch that such complaints were part of the TRIPS and should apply. According to sources, the Council took note of the document submitted by Brazil, and Chair Ambassador Abdolazeez Al-Otaibi of Saudi Arabia is expected to conduct informal negotiations until the next TRIPS Council meeting in October to reach a consensual approach. Also on the agenda of the TRIPS Council this week was an item put on the agenda on request of the US and Switzerland, co-sponsored by the European Union and Singapore, according to a WTO source. “Switzerland elaborated on how IP turned intangible assets into property rights. Singapore, the European Union, Korea, Chinese Taipei [Taiwan], Chile and Japan elaborated in detail their domestic programmes to encourage and help small enterprises and innovators to access financing, including by formalizing, assessing and licensing their intangible assets and intellectual property,” said the WTO official. According to sources, India presented a different point of view. It argued that the IP system was not intended to protect only commercial interests or to foster innovation for its own sake, according to the WTO official. India also suggested that a symposium on business models in the pharmaceutical area to be held as part as the trilateral cooperation between the WTO, the World Health Organization, and the World Intellectual Property Organization, according to sources. Brazil and Bangladesh, on behalf of the LDC group, said there could be no “one size fits all” policy regarding innovation in particular because the venture capital reality in least developed countries is different from the one found in developed nations, according to the WTO source. A side event on the subject was co-organised by the US, the European Union and Switzerland on 9 June (IPW, WTO/TRIPS, 9 June 2015). "LDC Pharma Extension Request At WTO Yields Support But Needs Further Discussion" by Intellectual Property Watch is licensed under a Creative Commons Attribution-NonCommercial-ShareAlike 4.0 International License.